I’m super excited about the week ahead! I’m kicking off a super fun new Blog Hop for new DMC products – Stitchable Cork, Stitchable Mesh and Stitchable Cuffs! Along with DMC we’ve gathered up ten seriously amazing bloggers who will be bringing projects to you this week using these new materials – you are going to love all the inspiration! We’ll also all be doing giveaways for a fabulous DMC prize pack – I’ll have all the details on the schedule and giveaway at the bottom of the post. But first – let me show off my new hoop! 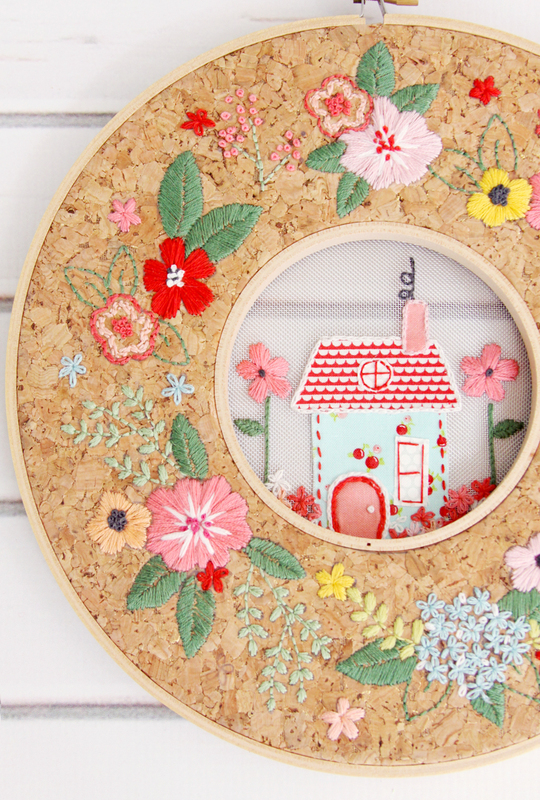 It’s a sweet Floral Home Sweet Home Hoop in a Hoop Set! Several weeks ago I had this idea for a double hoop – a small hoop inside a larger one – and I just knew that the cork and mesh stitchable fabrics were the perfect way to try it out! 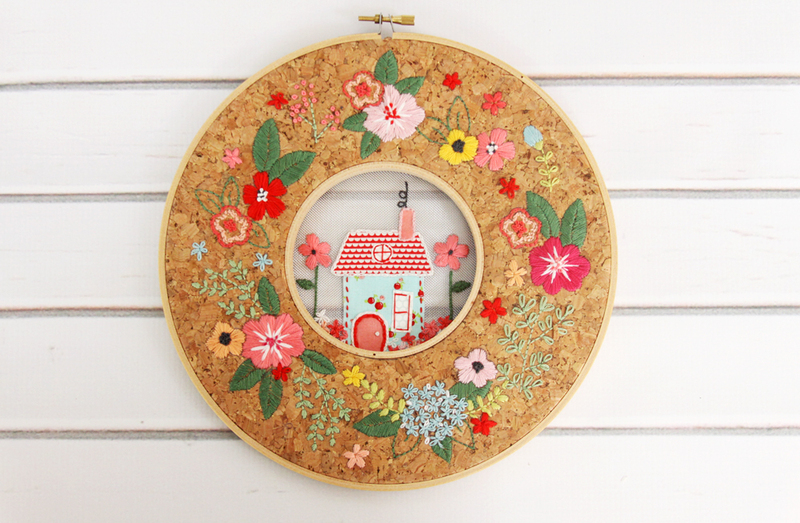 I really love how the floral cork outer wreath frames the little house. 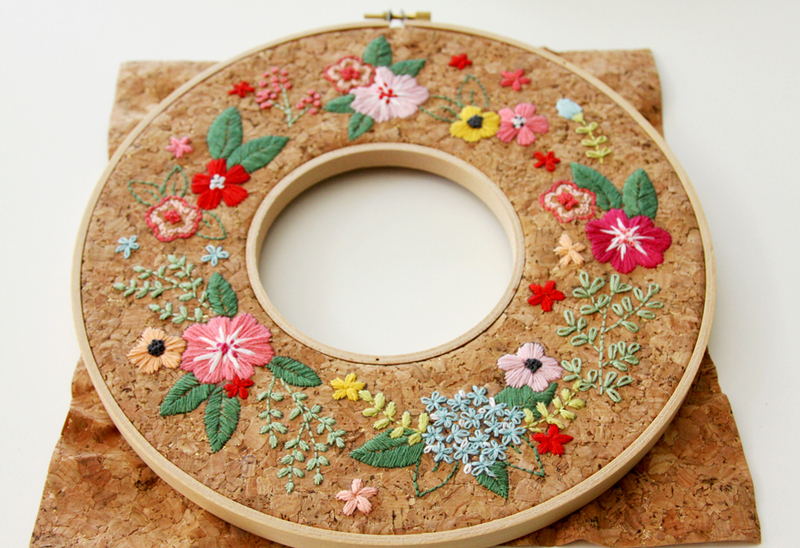 The outer hoop is made of stitched flowers – it looks complicated but these are all basic stitches. Anyone can do it – I promise! Begin by tracing your design onto the cork fabric with an iron on transfer pen or transfer paper. Light boxes don’t work well with the cork – you can’t see through the fabric really. 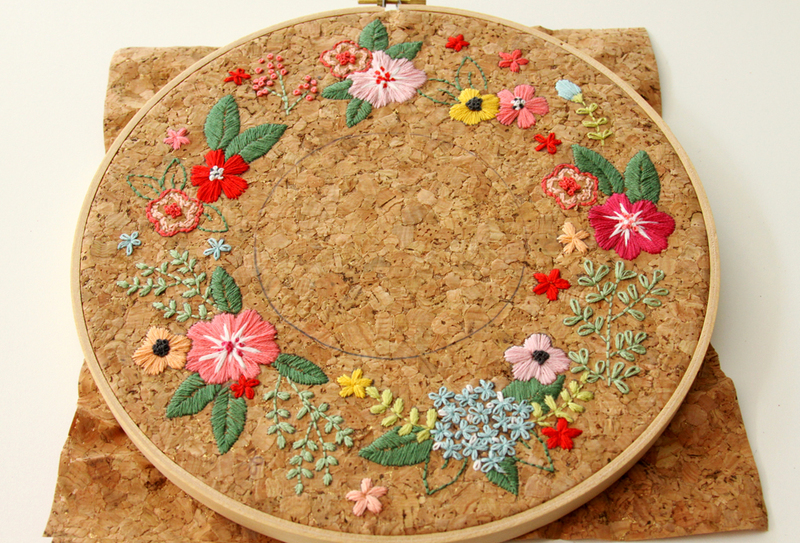 The cork fabric comes in a 10″ x 10″ sheet so it will be a tight fit in the 9″ embroidery hoop but you can do it. :) Stitch your design with 3 strands of embroidery floss for all designs. Refer to the photos for color and stitch type. 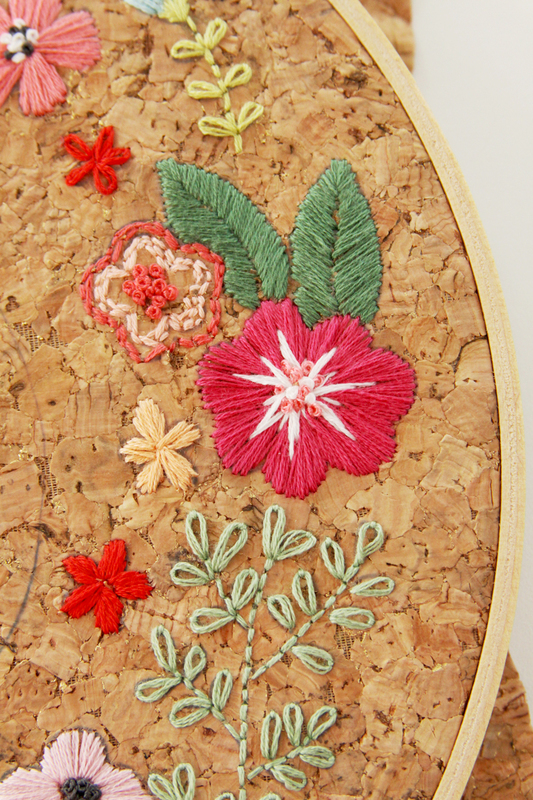 I used a combination of satin stitch, back stitch, lazy daisies and French Knots. Here are some close-ups for you so you can see the stitch types. Place the INSIDE of the 4″ ring on top of the marked circle line, then carefully flip your hoop upside down. Unscrew the outer ring of the 4″ hoop pretty far and carefully place it over the center opening. Push down to create the inner circle. Check your alignment on the front and once you’re sure it’s centered, tighten the screw and make sure the cork is as tight as you can make it. If that part worries you, practice on some scrap fabric first. That will give you the feel of how it goes together. Now you can trim the side corners of the cork and hot glue them to the back of the hoop. 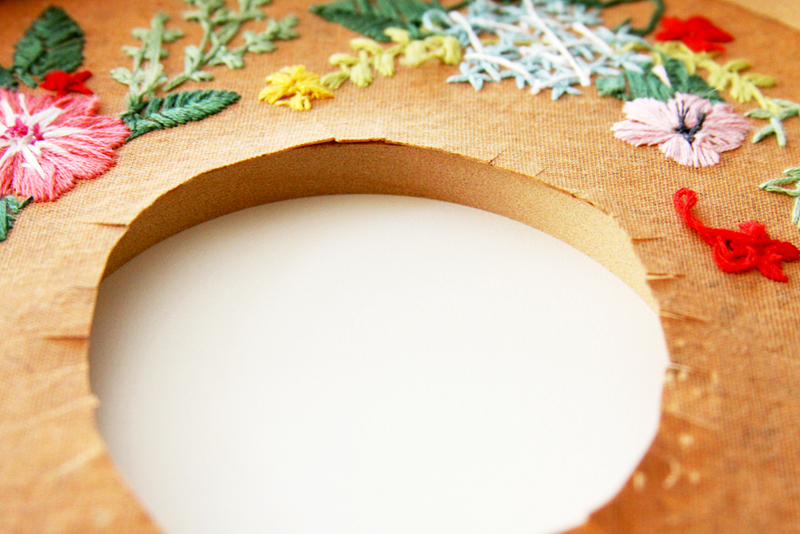 Trim or glue the inner pieces to the outer edge of the smaller hoop. I think it’s cute like this too, don’t you? For the center hoop, stitch the two side flowers. 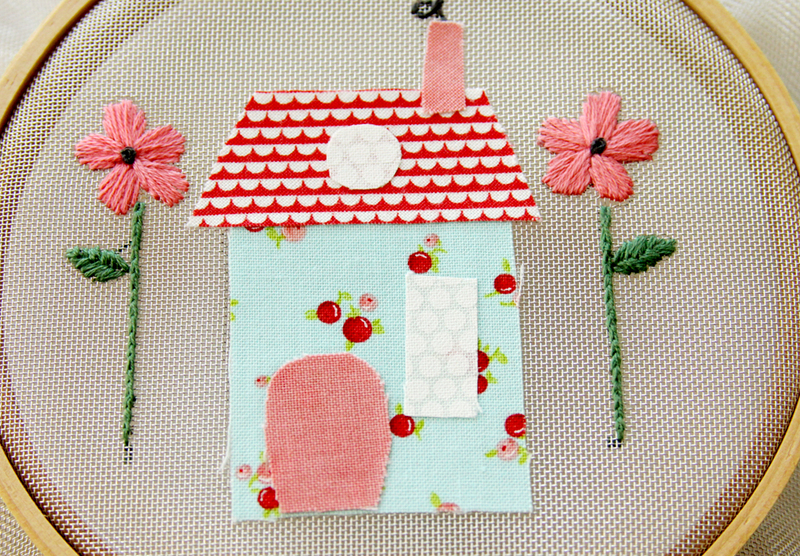 Using the pattern, cut out the house shapes out of fabric. 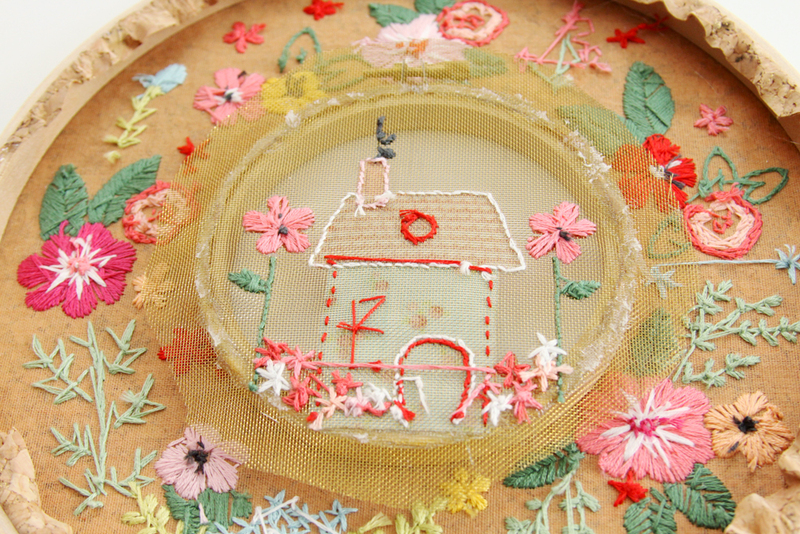 Use fusible webbing or a bit of glue to fuse the details on the house. You can fuse the fabrics to the mesh as well but it doesn’t make a great seal – the fabrics are still a little loose. If you do this, make sure you use a pressing cloth over the mesh. 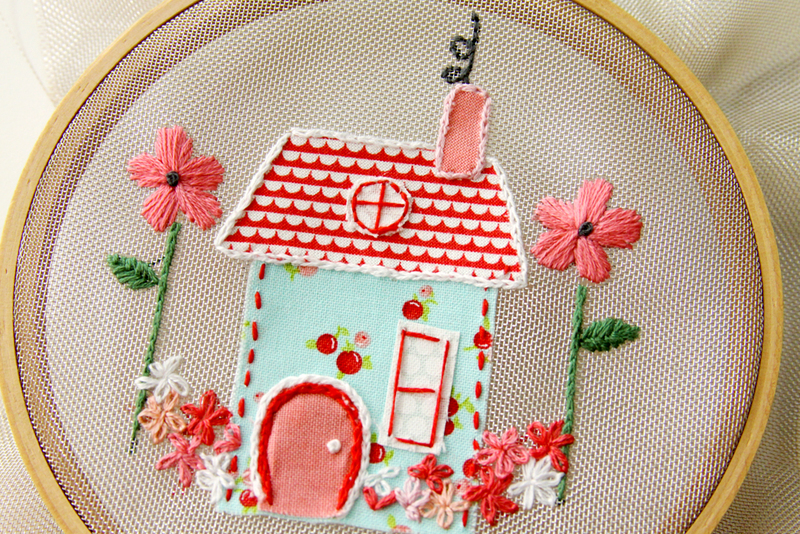 Stitch details and flowers on the house hoop – I used a chain stitch to outline the roof and the door and a running stitch on the side of the house. 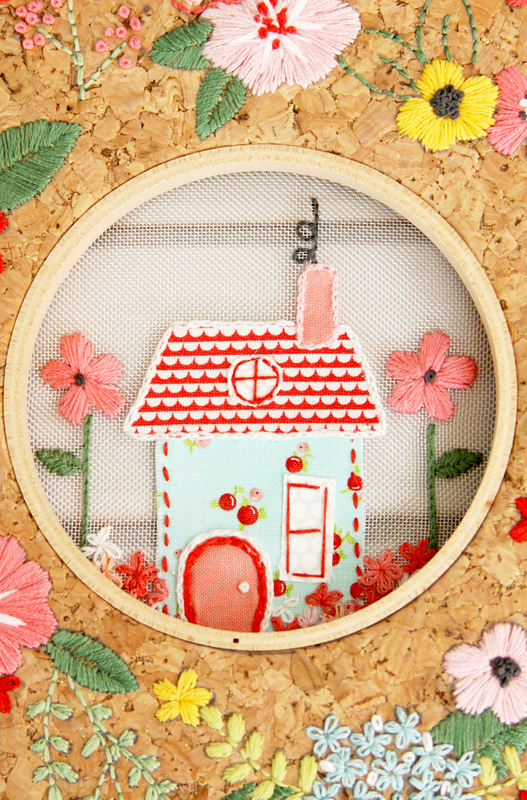 The doorknob is a French Knot and the little flowers along the ground are made with lazy daisies. Check the placement of those by placing the cork hoop on top of the mesh hoop. You don’t want the base of the house or door to show. Remove the house from the hoop and place the cork hoop on top of the mesh, making sure it’s aligned straight and the bottom of the house doesn’t show. Carefully flip over the hoops and glue the mesh in place on the back side of the hoops. Trim the mesh around the hoop. It won’t show so you don’t have to get it perfect. If you want to finish off the back, you can follow this tutorial. Make sure you cut a whole in the center though so you can see through the mesh. All done! I love how it turned out – and I have lots more ideas for double hoops so you can expect more of those coming soon! Didn’t the cork and mesh work perfectly for this? I love the texture it gives and the way you can see through the mesh on the center section. As I mentioned at the beginning of the post, there are more Cork, Mesh, and cute stitchable cuff projects this week. Here’s the schedule so you can visit these super talented girls! On Friday I’ll be doing a recap of all the amazing projects too! I made up some fun videos to show you the new projects that have info and tips in working with these new materials from DMC. Here is the cork video! You’ll be able to check out the mesh and cuff videos when you visit the bloggers using those materials. If you can’t wait to pick up some cork and mesh of your own (I don’t blame you!!) you can find it at Jo-Ann, Hobby Lobby and local stitchery shops! We are also having fabulous giveaways with this hop! DMC is giving away a $50 Prize Pack full of Stitchable Cork Fabric, Stitchable Mesh Fabric, Cuffs, Embroidery Floss and Accessories!! To enter – leave a comment here with what material you’d like to try or what you’d like to make! Make sure you visit all the other bloggers as well and enter their giveaways too – we are EACH giving away a prize pack so there are lots of opportunities to win!! 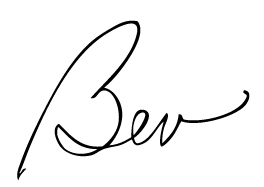 This is so cute, Bev. Love it. Beautiful stitching! 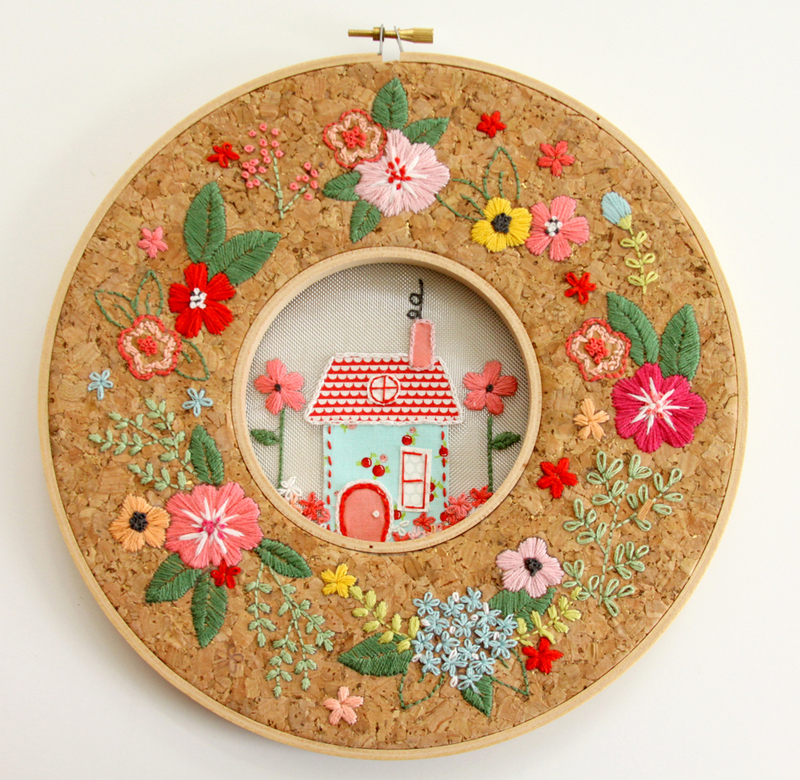 That is one beautifil hoop art and stitching work. I’d love to try the stitchable cork fabric, stitchable mesh fabric, and cuffs. They are new to me. Thank you. I’d like to try to make an embroidered pendant. what exciting new possibilities!! This looks like so much fun! I can pull out all of my DMC thread and needles and go to work!! Will look at each blog for more fun! Thank you for having this vision and sharing with us! I would love to have the cork and mesh fabrics to make a double hoop like yours Bev! That is the best new idea in stitching I have seen in a long time! I would love to try the stitchable cork – sounds like it would be a fun project. I love it all!! The double hoop idea excites me. I’ve never used cork before, I’d love to try some free form stitching. Very pretty! Love the embroidering on the cork. I’d love to try the cork since I’ve never had the opportunity. What a beautiful embroidery piece, I would love to try working with the cork and the cuff. Wow, it’s so helpful to see what projects can be made from these two fabrics, had no idea. The cup cozie looks like the perfect cork project. Thank you! Looking forward to the week’s posts. I have been seeing this cork fabric all over the internet and I want it badly. The first thing I would make is a bag with the bottom cork fabric and the top crochet or knit ( a Vicki Howell pattern). I would embroider the cork bottom (a la flamingotoes). This is a great idea. I would just love to try it. Winning would make my day. Wow, I never thought you could embroider cork! I’d love to give that a try! Gorgeous project you made! I would love to make a wallet out of cork with some embroidery to embellish. That is so pretty, I would love the cork. Thank you. I would love to try stitching on the cork fabric. It looks great. The stitchable cork and mesh are new to me, so I can’t wait to try your adorable project. Sew cute! OH my gosh, that is so cute !! cork is new to me. would love to give it a try.. I would love to try both the mesh and cork – I’ve never used either! This is so cute! I’d love to try the cork! That piece you made is stunning! I am in love with double hoop concept. Can wait to get my hands on the cork and mess! Thanks Bev for sharing your idea. I can’t wait to try this cork fabric. Colors really seem to pop against it! Such cute crafts. I think I would like to try the mesh. The idea of silver or gold backing sounds so pretty.Thanks for the chance to win. Love it! Hope to have one finished for my front door for next spring. Perfect! Also, going to try & do one on embroidery machine – but not too sure that will work. Back to hands I guess. This project is just so pretty-I’ve never worked with cork material before & would love to try this project! Thank you for the pattern & giveaway! This is so cool! Who knew you could stitch on cork? I can’t wait to try this. So clever and adorable! Stitchable cork? Who would’ve thought. I want to try the cork AND mesh. And that inner hoop idea is the best! I’ve been gathering a collection of various hoops that I find at estate sales and thrift shops. Time to use them. Your project is absolutely beautiful and so unique! I may give this a try! I would love to try the cork! I can make something cute for my granddaughter and make it big enough that she can pin something on it too. Perfect for “getting ready to start school” present. A wreath for my door, love this idea using cool cork! 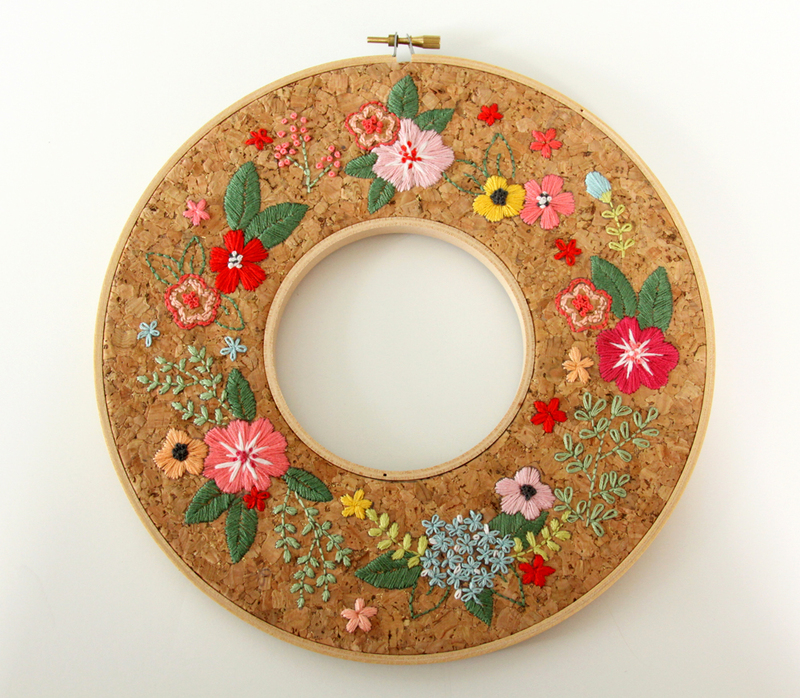 I love the look of embroidered cork and your tutorial makes me think I could do it, thanks! I’d LOVE to try stitching on that mesh!! Your creation here is amazballs!!! Wow! This is adorable! I can hardly wait to try the cork and the mesh! What an unusual, adorable project! Where do you come up with these? Your imagination is certainly working over-time to our benefit. Thanks! I would like to try them all- It all looks like fun. What great ideas and new products. This may finally get me to start doing more embroidery. But first, I must finish moving. Thanks for showing this off. I love your embroidery. I would love to try both the cork and the mesh, Your pattern is adorable! Love your site. Would love to try a project using the cork. Have looked for it but so far haven’t found any. Thanks for good site. i would love to make some different sized and shaped wall hangings! so fun! I’ve been wanting to make a wallet from cork but I love this double hoop too! Thanks for the chance to win. i would like to try a wall hanging or a hoop! I would love to make cork coasters and cup holder covers. They are all adorable! I guess I live under a rock because I never knew stitch-able cork was a thing! I absolutely love the wreath that you made on this post! I’d probably give that a try and update my front door with it. I haven’t ever seen anyone stitch on cork before, ingenious idea, I would love to try it!! I am in love with this project. I had heard about the switchable cork but have not seen it yet. I didn’t know it was so flexible. 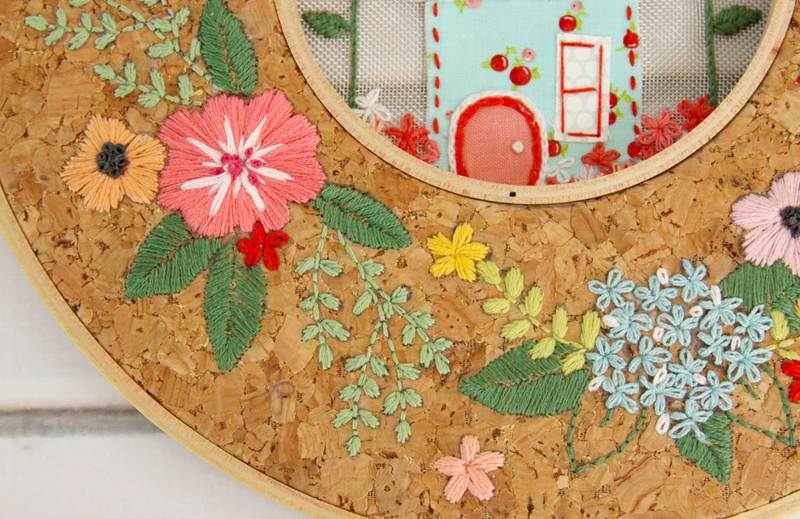 I would love to learn to embroider on the cork mesh. Thank you for this great giveaway. Stitchable cork?!!! Looks amazing, and I’d love to try it out. Your project is absolutely adorable! I just love this so cool, shared with my daughter who loves to stitch also!!! 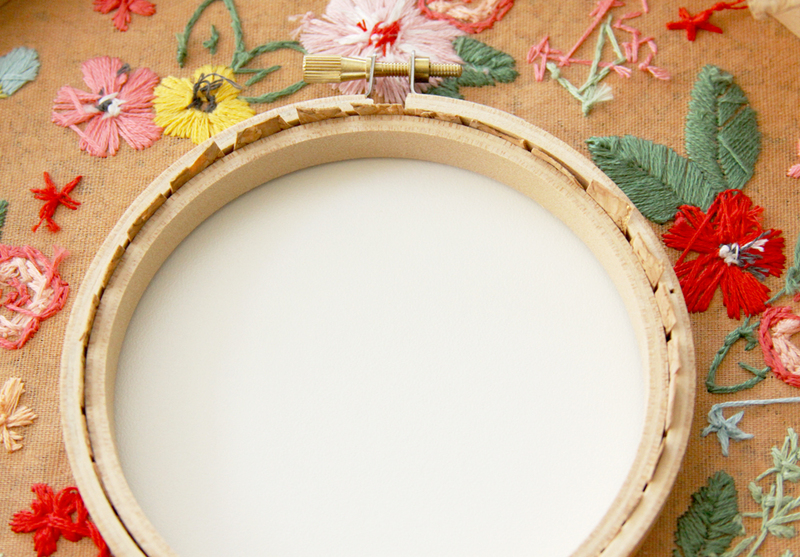 What a great new way to cross stitch, and the thread might not tangle as much with the cork. The stitchable cork looks like so much fun. Your project is beautiful! Oh, I’d like to try to embroider on cork! 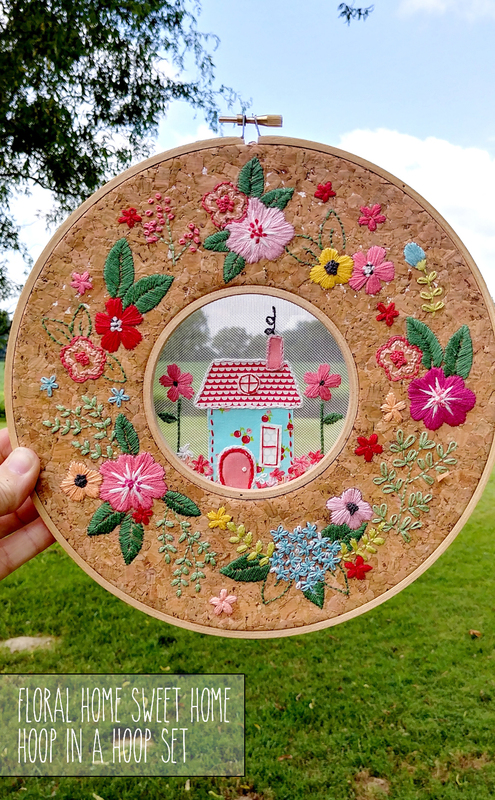 I’ve been embroidering since I was a little girl and I have never heard of embroidering on cork- love to try something like this…Your blog is one of the neatest ones I subscribe to and am always finding something new to try…. I really liked the stitchable mesh and the cork! I want to try the switchable cork first. I loved the beautiful embroidery on it. My Mom taught me how to embroider when I was a little girl. This brought back good memories! How neat that it is still being done! This is such a different project. I love it! I would love to try the mesh and cork to stitch on. I’d not seen cork fabric before. I’d love to try it. I’m always ready to work on something new (for me). The house in the center is great. This is the first I have seen of using cork and such. I love the pattern. I will be looking for what is needed for this project at our local Shop Hop this weekend! Thanks for sharing. Love this project! Would like to try stitching on the cork fabric. i would choose the embroidery floss and accessories. The embroidery floss and accessories are my choice. They are all nice but the embroidery floss and accessories are what I am familiar with. Love the stichable mesh! So pretty. I would love to try the cork fabric. I have used it to make zipper pouches and it is wonderful to sew with. Goes through my machine like butter. Your double hoop is so creative. I’ll have to try it. Thanks so much for the tutorial. This is such a cool project! I love the hoop in the hoops and such sweet images. I would really love to try the stitchable cork fabric!! So cool! Oh my gosh, this is amazing! I never would have thought do stitch a hoop in a hoop. It turned out beautiful! I’ve been wanting to try that corkfabric. Looks fabulous! So pretty! I love the look of the cork fabric. The stitch-able mesh is most intriguing to me! The cork is pretty great too! I’d like to stich a Bible passage or favorite quote on the mesh for my sewing room. Your stitches are so lovely, Bev! 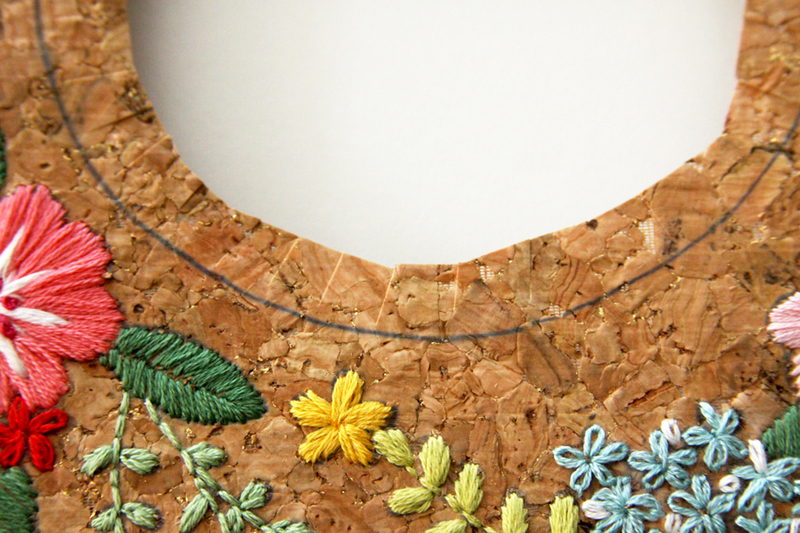 I’d like to try making some embroidered cork statement necklaces! Your hoop looks amazing! The stitchable cork is blowing my mind. I would definitely love to try it out. to try out the cork. I would like to try the mesh. It looks very versatile. Wow! This is super neat!! What a great idea!! I’d love to use felted wool and appliqué a scene in this fashion!! Love it! What an amazing project! Ii would love to try the cork! Amazing project. I had never heard of stitchable cork. Thanks. 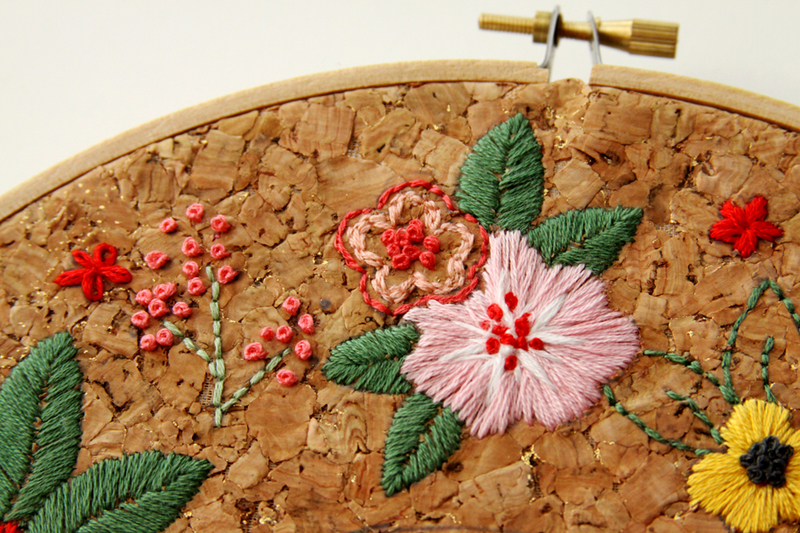 Never heard of stitchable cork…you learn something new every day! Love those textures together. I think it’d make interesting pins to wear. This is amazingly adorable,,,I’ve never used cork before and after seeing this I think I may have to try it out!! I want to play with the cork on a pouch or tote. So many fun ideas! I love your project. I would like to start with the with the cuffs and fill them will silly smiley faces. I think the cork looks fun to try! I would like to try the cork. Oh! I wish I had this stuff to make a friend who is moving. Beautiful. I take so long to decide what design to use!! But I love your color choices. I’ve stitched on mesh before, but never cork — I’ll have to try it. This double hoop you made is impressive! I would really like to work with the cuffs. It looks like so much fun and something the grandkids would enjoy as well. I love your idea. I’m going to try it! I’ve never worked with the mesh or the cork! I had to stop back and comment again. I just finished looking at all the other blogger projects and am amazed at all the cool ideas. Great work ladies. I hope I win a prize package so I can get started! Thank you to DMC also. I would like to try the stitchable cork. What lovely hoop art! Your project is beautiful! I love the idea of combining the cork and mesh into one project. I would love to try this project to hang in my girls’ room. Their walls are bare right now and this one would be prefect! I would never in a million years have thought you could do a double hoop project like this! The cork and mesh look like so much fun! I would love to try a project like this with the cork and there’s endless possibilities with the mesh. Wow! This is gorgeous. I’ve never seen anything like it. Stitchable cork?!!! I’m going to have to get back into stitching & try that. You always share so many projects that I love. I have been away from embroidery for a while and I have decided to get back into it. This popped up in my FB feed and I am so excited. I love both but that cork is so beautiful. Thanks for the chance to win! I would love to try the stitchable cork or mesh! I love what you’ve created here! The cork is adorable and something I’ve never seen, how clever! I’d love to try it! My creations are special gifts to friends and family, all from the heart, some sweet, some weird, always personal! Really cute! Saw the cork fabric at a craft store recently and wondered what to do with it. Thanks for the great idea! Oh my gosh, this is so cute. I have never tried the stitchable cork. I love the double hoop. Thank you so much for sharing at Wonderful Wednesday link party. Shared and pinned. So creative and absolutely beautiful! Thanks for sharing at What’d You Do This Weekend? I would love to make one of the cork projects. I have never seen this material. It makes a cute frame and I will probably attempt to make one for a Christmas present. 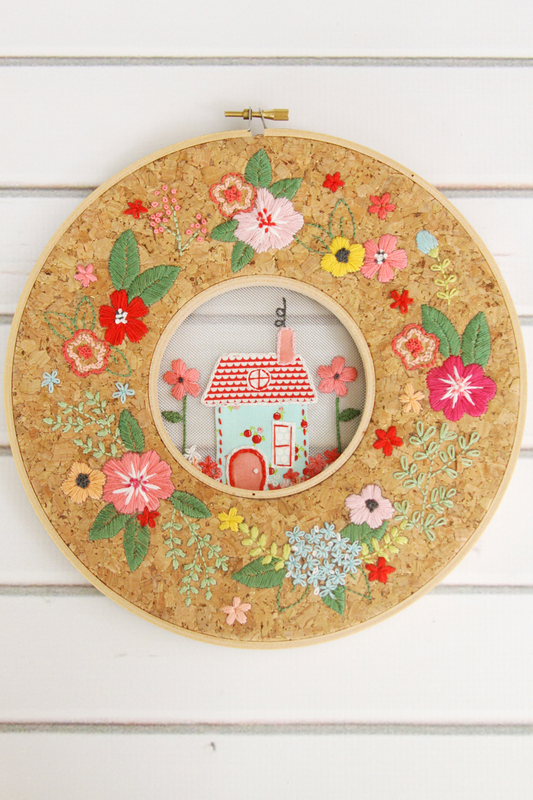 I love this hoop-in-a-hoop door wreath or wall hanging. 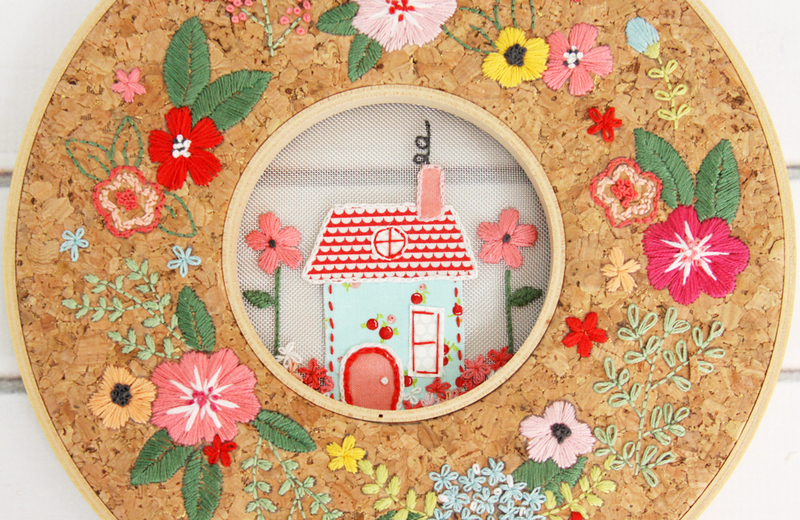 The flowers and the little house are adorable! Thanks for the information about stitchable cork and mesh. You are so talented to have created this project! I would like to make a stitchable cork photo frame for a picture of our grandchildren. I love the project. I have not heard of the cork material. Using the dounle hoop would be great for seasonal projects. I can easily picture fall leaves, holly or flowers in a emroidered wreath. Even snowflakes with a neat design in the middle. I think you just made me think of many new possibilities. I love natural, neutral colors too amd cork material would be so great for these kimd of projects.